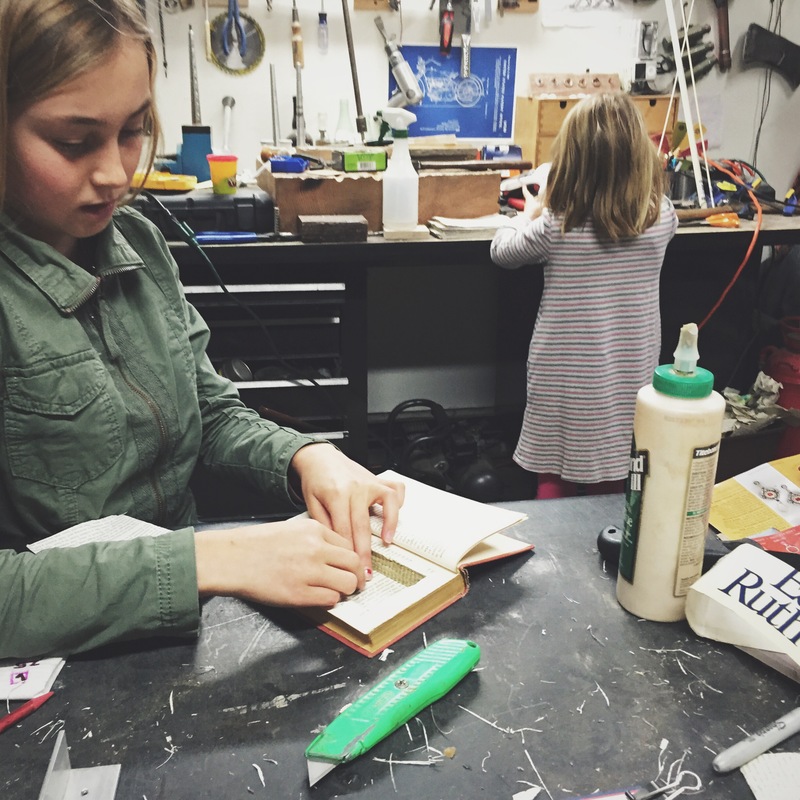 The kids and I made 13 book safes for all the kids that we shared the New Year’s weekend with in Mammoth. 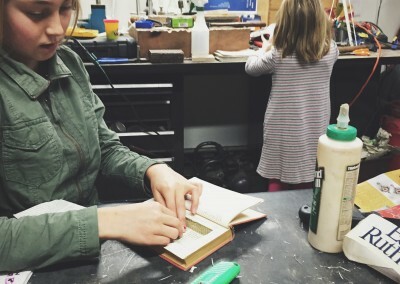 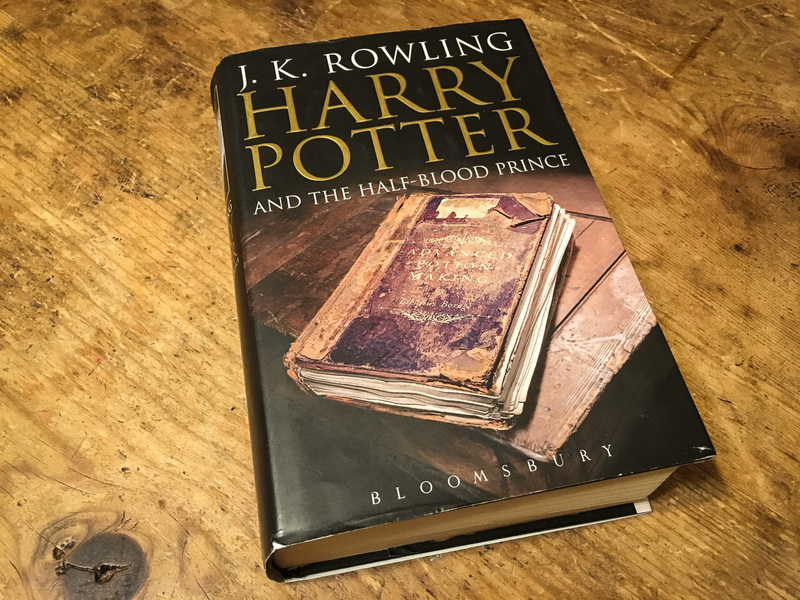 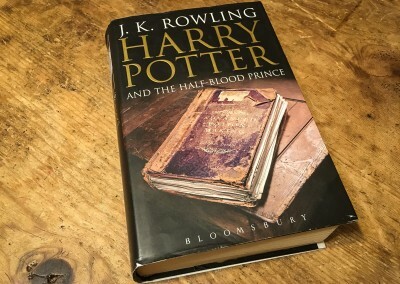 Hard cover books work best – if you don’t have any lying around, yard sales and thrift stores are a good source. 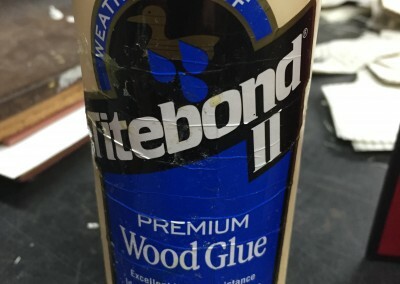 I used Titebond II woodglue. 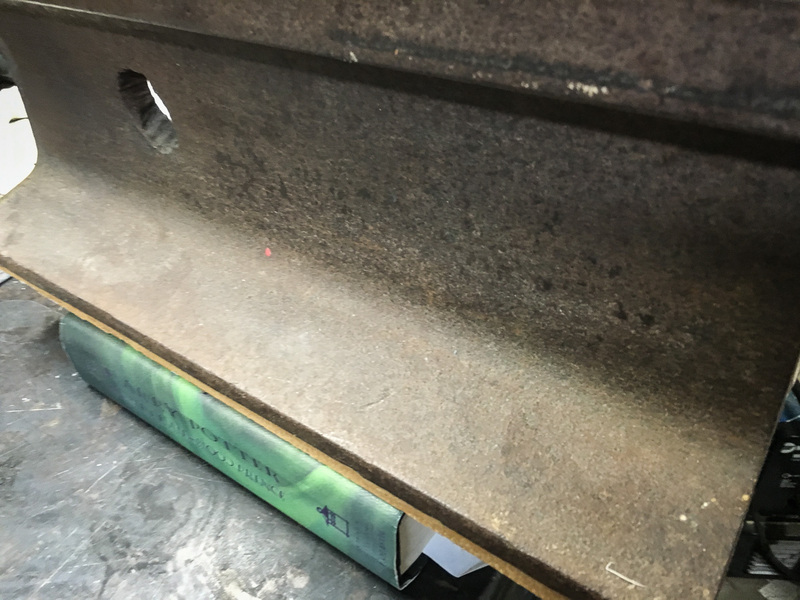 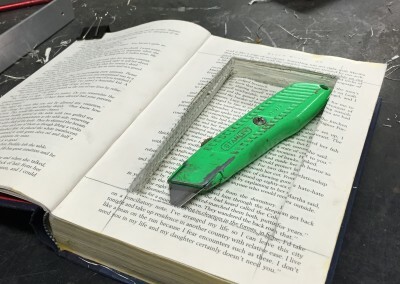 Place the book under a heavy weight for 30 minutes. 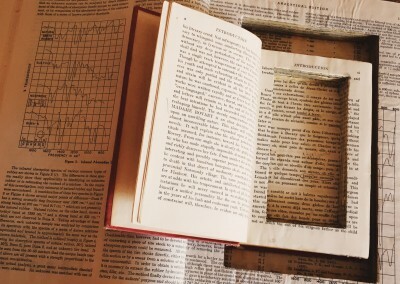 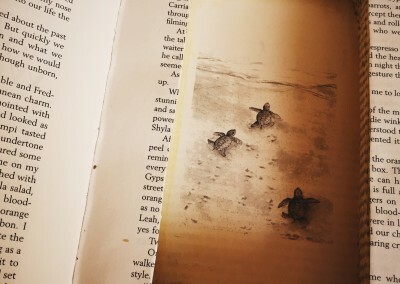 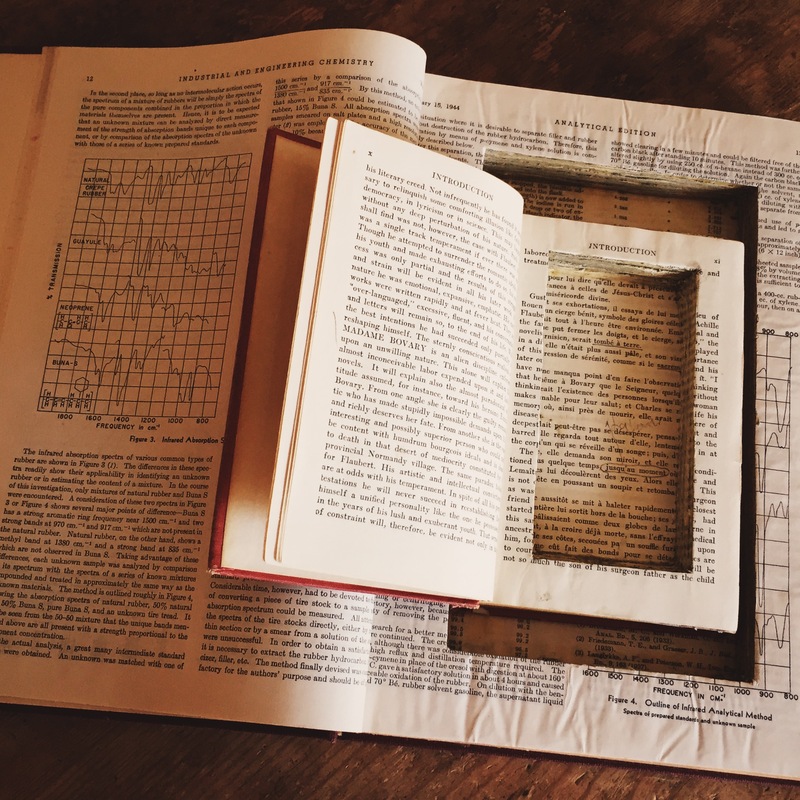 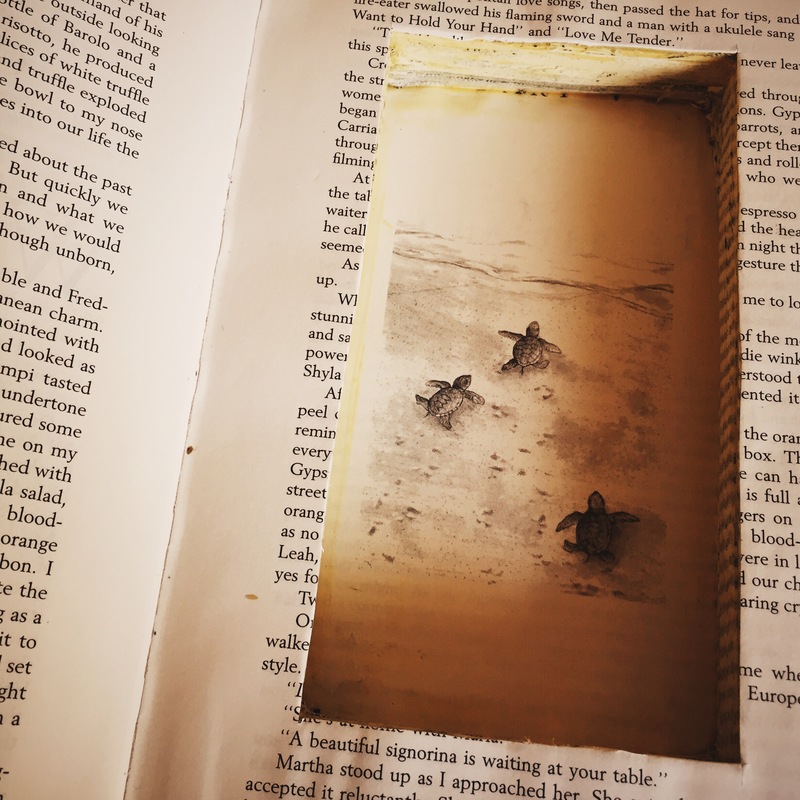 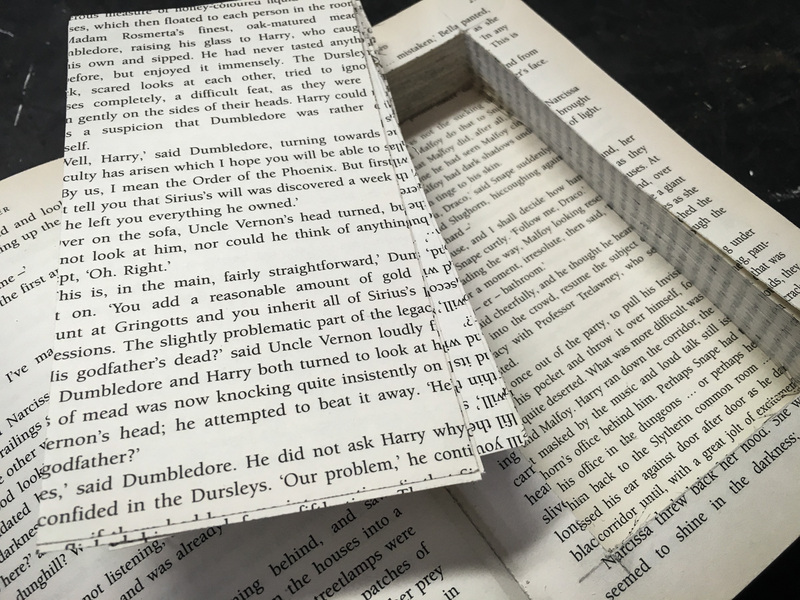 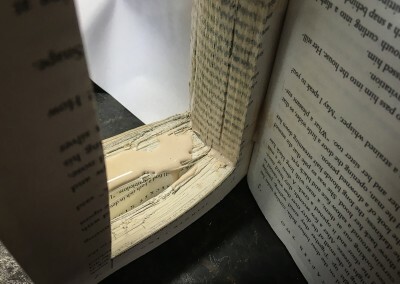 Remove the book and mark a rectangle on the uppermost glued page. 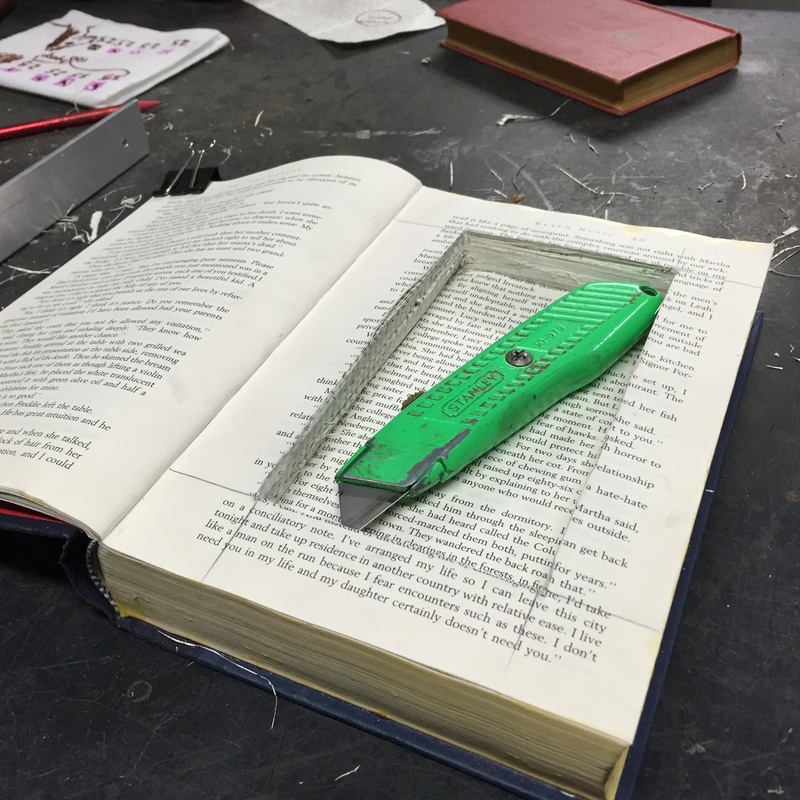 With a straight edge, start cutting around the rectangle – you’ll cut through 10-20 pages at a time. 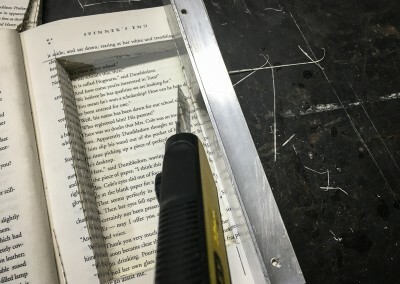 Remove the cut pages as you proceed. 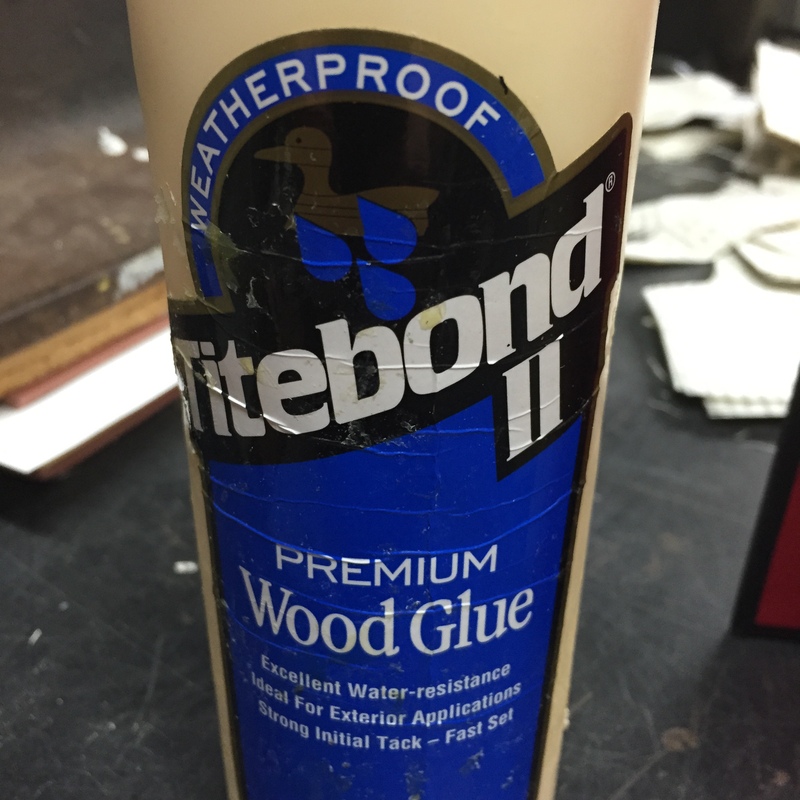 Once you reach a satisfactory depth, clean up the edges and then apply glue inside the cavity to the cut surface. 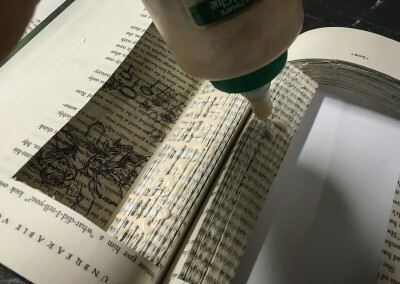 Last step is to lightly glue an uncut page over the cavity and carefully cut around the edges to give a clean finish. 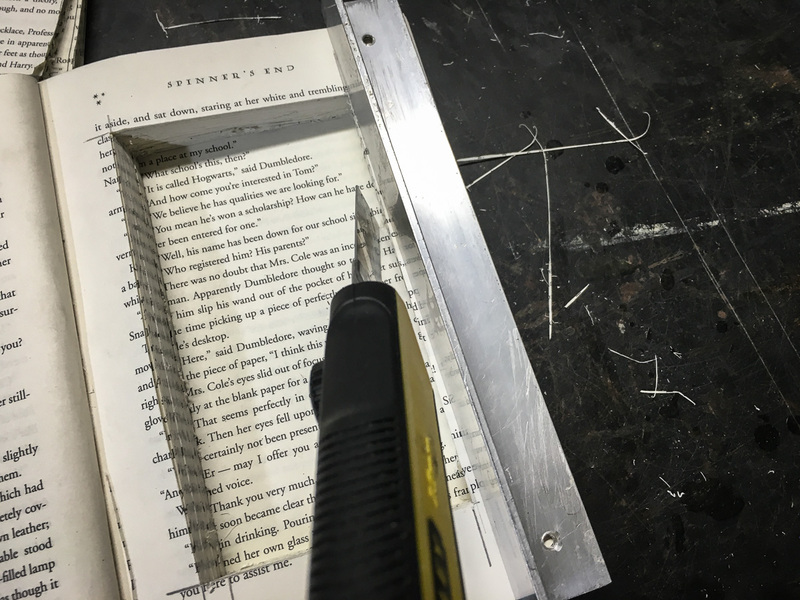 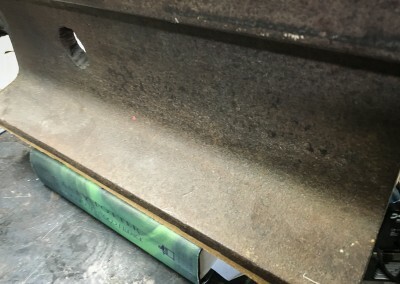 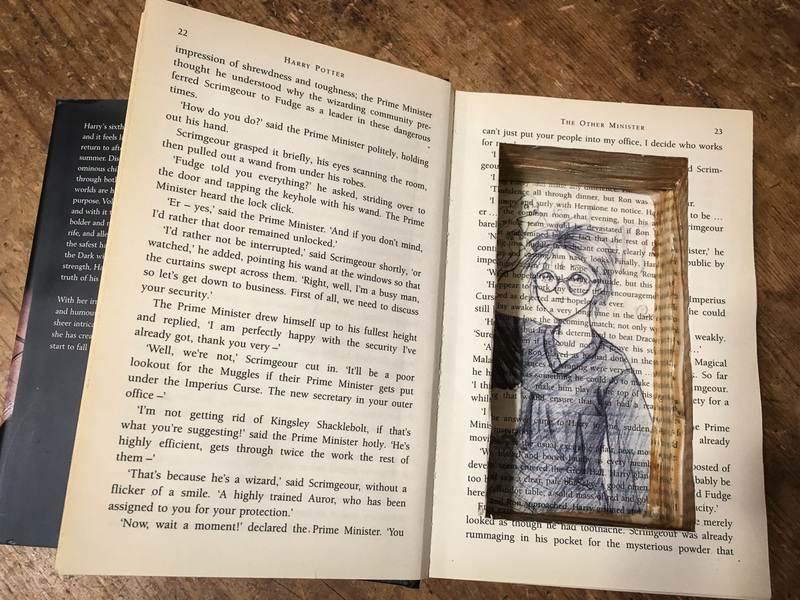 For a nice touch, place a drawing or image on the exposed page that will be the bottom of the cavity. 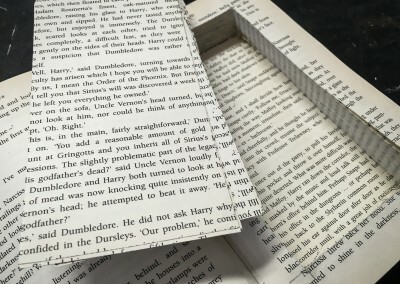 Cut out one of the full size pages and attach it lightly to a sheet of printer paper with scotch tape and print a drawing on it. 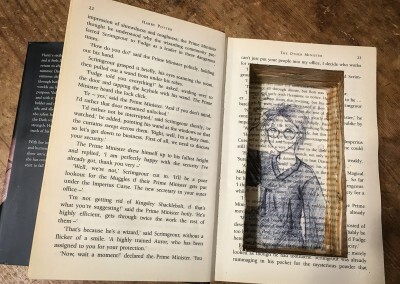 I searched for pencil drawings to find the Harry Potter page shown in the photos.